hikes and beach fun are upon us. Unfortunately, the combination of the Summer heat and outdoor activities can lead to excess sweating. This helps keep the body cool down, but it can also lead to dehydration! Instead of endless glasses of water opt for some healthy fruits and veggies. Incorporating these into your diet can add to your water intake and keep you hydrated all through the summer. 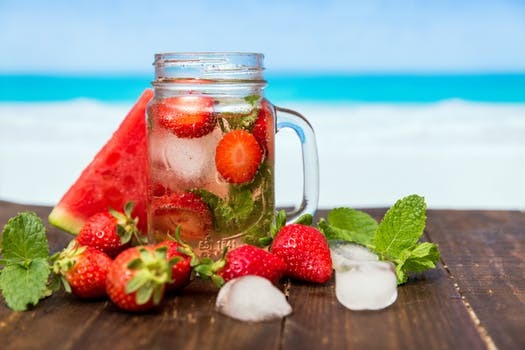 a tip sheet of his seven favorite healthy foods to help fight dehydration. there. They can be a great alternative to snacks like pretzels, chips, and peanuts. These popular snacks have large amounts of sodium and can make you more dehydrated. which are both incredibly hydrating and delicious. • Strawberries have the highest water content of any berry, 92% to be exact. flavor without consuming too much sugar. cantaloupe provides 100% of the daily recommended values of Vitamins A and C.
promotes skin health, giving a glow and restoring moisture. flavor, lemons are a great source of vitamin C and aids in digestion. There you have it! Hope these tips help you enjoy some of summers best offerings.. YUM! While Staying hydrated too! Summer is heating up quick! Woohoo!! I finally got to get out this last weekend and hit up the lake with my boyfriend for some much needed R&R! When we arrived in the blazing heat at East Canyon Lake, nestled between the beautiful Wasatch Mountains in Northern Utah, I quickly threw open my pop up sun tent to get in the shade. While I’m actually a total sun worshipper, in the last decade (after years and years of regular sunbathing) has taught me a major lesson in why it’s still important to cover up and protect yourself from the sun best you can! Sun spots in your 30s are no joke! Worse, I have a few lovely friends who received an even scarier, life-threatening lesson from the sun. 1. ALWAYS Wear the Sunscreen! (You should be doing this all year long – including in the winter!) Slather on a facial sunscreen and don’t forget the entire body, especially in the summer and especially if you’ll be shedding some layers at the beach! Slather it on (you should be using about a shot glass full of sunscreen) from head to toe. Don’t forget the back of the neck, ears, your hair part (if you’re not wearing a hat) and the back of hands and tops of feet. Take your sunscreen with you and reapply throughout the day, especially after playing in the water! 2. Wear a Hat. If you’re going to be in the sun for longer than 20 minutes, put on a big floppy hat to keep the sun off your face, ears, and the back of your neck. You can do double-duty protection for your hair and spray a leave-in conditioner liberally through hair before going outside, as this will also provide a barrier against the sun, keeping moisture in and the drying, harsh UV rays Out – which end up making your pretty locks look more like rough, super dry straw! 3. Stay Out of The Sun and In the Shade as Much As Possible. This is kind of a no-brainer and one you probably won’t follow much of the summer anyway (at least I never did!) but try to catch some shade when you can at least during the peak sunburn hours of 10 AM to 4 PM. 3. Wear Polarized Sunglasses. A few years ago I would’ve had no idea what you were talking about if you told me you were wearing polarized lenses. I would’ve assumed they were some type of safety lens made to protect eyes in some kind of scary work environment, where things are constantly being flung at your face! Turns out, polarized lenses are actually a little less about work-safety and more about providing other helpful benefits to the eyes! 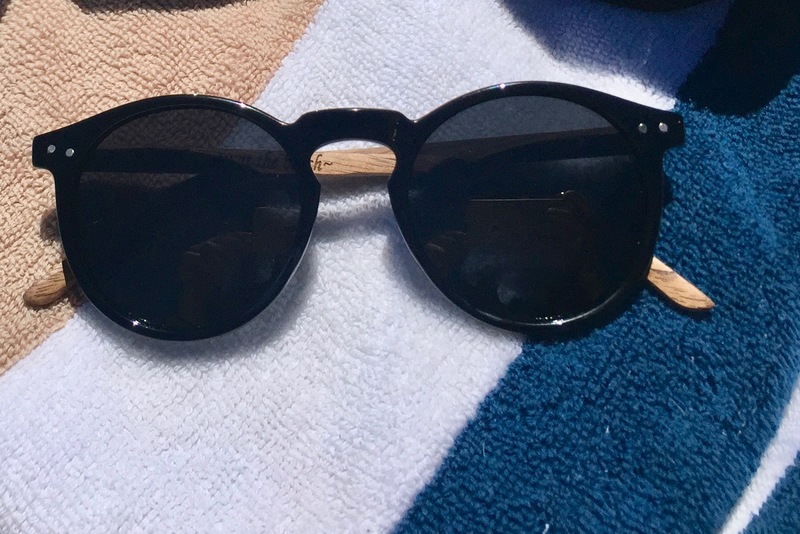 Besides protecting your eyes from the sun (as most sunglasses with UV protection will do) you get even further benefit by these special shades helping to reduce glare. Polarized lenses block reflected light rays that bounce off of surfaces such as water, and filter this light out so you get a clearer picture of what you’re seeing around you without those annoying glaring rays causing you to squint and possibly even further bringing on a headache! Ouch! You actually get much more vivid colors and images with polarized lenses you don’t get normally get too! Images are clear and it makes the scenery of wherever you’re enjoying some fun and relaxation this summer, even that much more beautiful! I know what you’re thinking if you’re reading my blog. “Polarized lenses? You mean those ugly sporty looking ones you always see avid bike riders wearing?” No! Thank god! “Sorry, but I wouldn’t be caught dead in one of those!” While yes, most of those glasses all the Tour de France riders are wearing are probably polarized, but fashion has upped its eye game over the last year or so making it super easy to find super fashionable shades with you guessed it – polarized lenses! I recently got to try out a chic wood frame pair of on-trend round polarized sunnies from Woodies Sunglasses and I was immediately in love! These lovely, unique wood frame sunglasses are handmade from real walnut wood arms that support a foster style plastic frame. The sunnies are super light and comfortable to wear- even for hours on end! In fact, they are 50% lighter than traditional ray-bans!